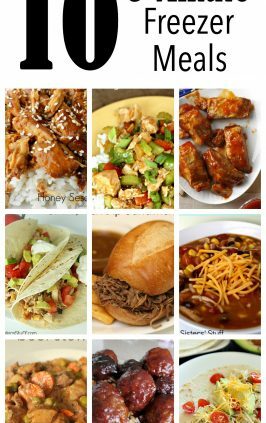 Need a quick, easy, and delicious slow cooker meal? Well, look no further! We had this for dinner the other night and it instantly became a family favorite. I thought that the honey would make it super sweet, but it was the perfect amount of sweetness and flavor. It was a big hit with our kids and so easy to throw together- a winning combination in my book! I don’t know what I would do without my slow cooker! 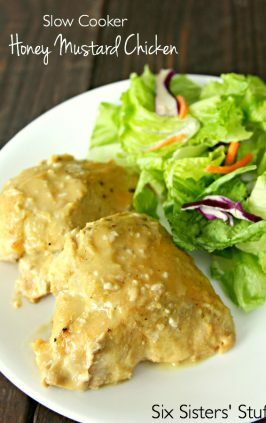 This recipe can easily be made into a freezer meal that literally takes only a couple of minutes to prepare ? just read the instructions of the recipe for directions on how to make this a quick and easy freezer meal! 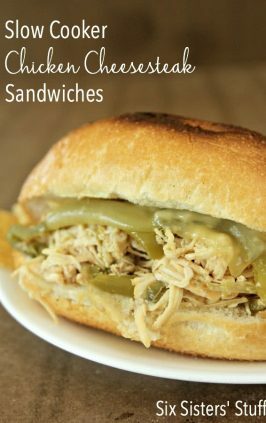 One of the easiest and most delicious slow cooker recipes I have ever made! Spray crock pot with non-stick cooking spray. Season both sides of chicken with lightly with salt and pepper, put into crock pot. In a small bowl, combine honey, soy sauce, onion, ketchup, oil, garlic and pepper flakes. Pour over chicken. Cook on low for 3-4 hours or on high 1 1/2 ? 2 1/2 hours, or just until chicken is cooked through. Remove chicken from crock pot, leave sauce. Dissolve 4 teaspoons of cornstarch in 6 tablespoons of water and pour into crock pot. Stir to combine with sauce. Replace lid and cook sauce on high for ten more minutes or until slightly thickened. 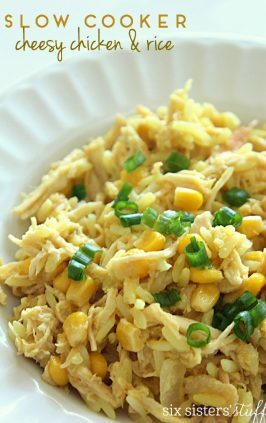 Cut chicken into bite size pieces, then return to pot and toss with sauce before serving. Sprinkle with sesame seeds and serve over rice or noodles. *You can also sprinkle more red pepper flakes on top if you want more heat. To make this a freezer meal, place all ingredients in a resealable gallon-sized freezer bag. Mix together and zip bag closed. When ready to eat, remove from freezer and thaw in fridge for 24 hours. Spray slow cooker with non-stick cooking spray. Pour contents of bag inside the slow cooker. Cook on low for 3-4 hours or on high 1 1/2 ? 2 1/2 hours, or just until chicken is cooked through. Thanks for the recipe! Pinned it. Sounds great! I am going to try this. I pinned it too! Thanx! Hello from a new follower- this looks wonderful. Will be trying this soon! 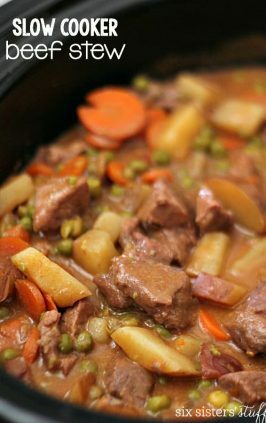 I am always looking for good slow cooker recipes and this one is a keeper. Thanks! Made this for dinner last night and it was a huge hit with everyone! Yummy....I've pinned it! I'm always looking for new recipes. Thanks for sharing this recipe, sounds yummy! That sounds delicious and I love a good crockpot meal. I'm pinning this ... thanks for sharing! Congrats on hitting 4,000 followers, sisters!! Woo-weeee!! I'm proud of y'all and your hard work and all your efforts! Just wanted you to know that I am on my way to the grocery store to pick up all the ingredients for this one. Will let you know how it goes!! Awesome recipe! Trying this week!! Thanks again! I'm trying this recipe tomorrow. I'll put it in the crockpot when I come home for lunch! Can't wait! Wondering if it would turn out ok if I started with frozen, boneless, chicken breasts. Add a couple hours cooking time? 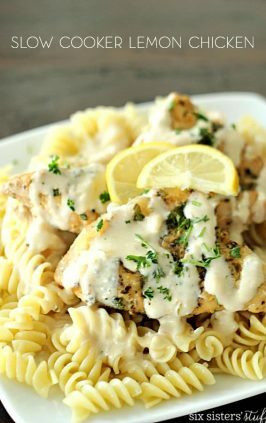 I have actually made this with frozen chicken breasts- I just cook it for 5-6 hours on low instead of 3-4. Turns out awesome! Thanks a lot! Can't wait to try it. could you cook this with vegetables too? maybe broccoli or carrots? Would it be too soggy? I think that veggies would be yummy in this! If you used fresh, I think that carrots would be great, but I have never cooked fresh broccoli in a slow cooker, so I am not sure how it would turn out! If you used frozen, I would maybe add them when you had about an hour or two left of cook time (or else they would be soggy). Let us know if it works! I made this tonight, it's delicious! I put a microwave steamed bag of broccoli in when I removed the chicken and thickened the sauce, and it came out great! I like to add peppers and pea pods when I thicken sauce too and it turns out great! I've done fresh broccoli before and it only needs 30-40 minutes to become tender-crisp, so just pop it in at the end. I would also up the sesame flavour by adding 1 tsp of sesame oil. Fabulous recipe! I'm pinning it for sure. Could this be cooked for longer - like 6-8 hours on low? 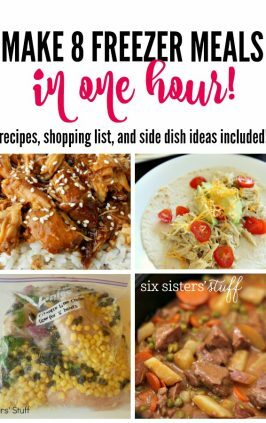 Would love to try this, but I usually put things in the slow cooker earlier in the morning and then have ready for dinner time. Thanks! Hi Kim! The only problem with cooking chicken breasts for that long is that they tend to dry out. However, chicken thighs seem to hold up so much better and stay moist in the slow cooker for longer amounts of time . . . so if you cook it for that long, I would suggest using chicken thighs instead? Or maybe use frozen chicken breasts . . . that way it would take longer for them to cook! Good luck! We use a timer, like the sort you have for Christmas lights maybe. Then you can set it to go on and off! I'm so happy I stumbled onto your site. 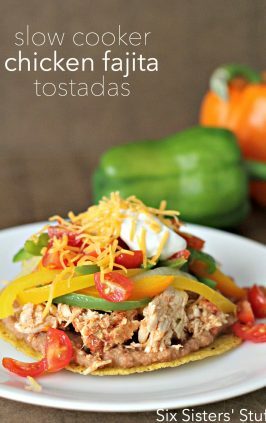 This week I included this recipe in our family menu plan... sounds so yummy. All of you are just adorable ... what a fun blog! This looks amazing! I was wondering if you found any nutritional facts for the recipe? YUM!! I LOVE sesame chicken. I am definitely trying out this recipe. You have the best recipes!! :) Thanks for sharing at oopsey daisy! any idea of the nutrtional content? Made it tonight and my 4 kids couldn't get enough! Thank you for a great, easy recipe. I doubled it for my large crowd and it worked out perfectly. Yum! looking for crock version of a family favorite and I have a question. . .doesn't the chicken get cold if you take it out and cut it up? Maybe if I just did one breast at a time. I really prefer to just serve it once it is cooked (rather than another step). Have you tried cutting it up beforehand and reducing the cooking time? Thanks a million. Really looking forward to spending more time on your site. I am the mother of six girlies (and one son)! It is so nice to see what lovely ladies all of you are! I just tried this tonight. I was wondering if there is a way to make the sauce thicker. I followed the recipe and the sauce never got thick like a traditional Chinese dish. Maybe less water next time? I am open to suggestions. The sauce didn't thicken in the crock pot for me either. I poured it into a skillet and cooked it on high for a few minutes and it thickened right up. I poured the sauce in a pan and mixed the corn starch with cold water,then added it to the pan. stir until it thinkens..
she does list this in the recipe. She made it in the slow cooker after removing the chicken.. I have made this many times now (LOVE it), and I find the sauce doesn't thicken with the lid on. I leave the lid off and turn it to high so it boils a little bit. Once it's thickened to where I like it I mix the chicken back in and leave it for a couple minutes to warm it up. I found with the lid on it just keeps all that condensation in, so it never thickens. Good luck! I cooked this tonight for my husband and I and our 1 year old son. My husband and I thought it was tastey (our 1 yr old tried it but wouldn't eat it), but it doesn't taste like an Asian dish. Maybe it needs ginger or more garlic? Not a lot of flavor. I added sesame oil instead of olive oil and it really added lots of flavor! Made this several days ago, and it was delicious! 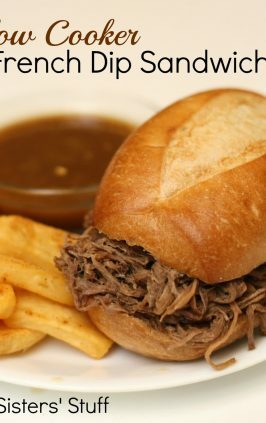 As soon as my hubby had finished the leftovers, he asked me to make it again-guess what's in my slow cooker?? wondering how many servings this dish is? I only need it for my husband and i, should i halve it? Found this on Pinterest and made it last night. Didn't have cornstarch so I used flour and it worked fine. I used the chicken to make lettuce wraps, and they were so tasty! The whole family really enjoyed it...thanks! Making this for dinner tonight. I made this for dinner tonight and it was delicious! I added some sriracha for heat and it turned out great. I also added broccoli with about a half hour left to cook and served over brown rice. I'll definitely make this again! Sriracha is a good idea. I use it in almost everything. I was interested in this recipe but it seems so sweet with that much honey. I think I'll try it now. Just made this for dinner...really easy and absolutely fantastic! I served over brown rice and cooked the sauce for about 15 minutes instead of 10 at the end and it thickened up just fine. Sounds wonderful! Will try this for sure! I love when I find recipes that I already have the ingredients for. Thanks for sharing! I made this for dinner tonight. So easy and super yummy! I separately cooked a bag of frozen stir fry and added some cashews and soy sauce. Then put the bed of rice down, then the stir fry, and then the sesame chicken. Huge hit with my hubby and 1 year old!!! LOVED this! Thank you for sharing! Sounds delicious! Gotta remember to try this one. Made this last night for dinner, it was AWESOME!! Even my picky eater chowed it down. Thank you so much for sharing, I can't wait to have it again. This looks so good! Definitely going to try it. It was so good !! It will be added to our rotation now as a regular choice for supper ! Made this for dinner last night and it was wonderful. I only had about 1/2 cup of honey, so I added about a 1/4 cup brown sugar to the pot. Even my picky husband LOVED it. We also had neighbors join us last minute and they called it gourmet - HA! Will definitely make again. I just made this tonight and was told by my husband that I had a hit. he NEVER says that when I make something new. Thank you. I did add a little sesame oil instead of sesame seeds since I didn't have any seeds. Thanks again. I am eating this as I type. Best recipe EVER. Not kidding...my mouth is having a party! Already shared on Facebook it is that good! Thanks! This will become a staple in our house! Has anyone tried freezing this recipe? Just wondering how the consistency would be after being frozen. I love Sesame Chicken from Chinese take-out, so I definitely want to give this recipe a try. Do you think I could double the sauce and at the end mix in some cooked broccoli with the chicken too? Would that be too much sauce? I was actually thinking about adding broccoli too! I think that it would be delicious! This recipe does make plenty of sauce to cover all the chicken, but no harm in doubling it! :) It's delicious! Made this for dinner tonight, AND posted a link to your site on my blog. Hope that was ok... I am new to the blogging thing. THANK YOU for making a recipe that my kids LOVED!!!! Is it possible to do this in a regular pot, and not a crock pot? I don't own one. also, if you do it in a regular pot, how long would it need to cook for? I made this last night and it was delicious. This is the first slow cooker meal I've ever made that I actually WANT to make again. Thank you so much for sharing it; I've reposted and linked up to you on my blog, and filed it on my recipe page. Leftovers tonight? I think we will! Yay! Made this last night for dinner and it was a hit! I did add some sesame oil based on the suggestion of a previous commenter, and it was yummy! Thanks! Found this on pinterst and made it today. O M G! Soooooo good!! I think I could eat all of it in one sitting lol. The only thing is that I could get the sauce to thicken up but it was still deeeeelish. Served it over brown rice, think it would be good with some broccoli slaw added. i just made this and am eating it right now... it is DELICIOUS!!! the sauce alone is good enough to drink. thank you so much for this recipe. Made this for dinner tonight...what a fantastically delicious (and EASY) recipe! Thank you so much for sharing! I made this last night. It was so easy and absolutely delicious! My family loved it! Thank you for the great recipe! This is cooking right now... in New Zealand! Looking forward to trying this!!!! I love anything in the crockpot!!! This looks fabulous!!! My husband loves the Seseme chicken that we eat at a local Chinese Resturant so I altered this recipe to be more like theirs. The crockpot version is healthier, but he loved this. I fried my chicken, then stir fried broccoli, onions, mushrooms, water chestnuts and carrot until crisp tender. I served over rice and it was fantastic! I have searched for years for a good recipe. This really hit the spot! Thanks. Putting it all in the crockpot now and having it for a big lunch. I'm substituting sesame oil for 1/2 the veggie oil. I'll let you know. This looks delish!! Made this today. My kids came home from school saying the house smelled delicious. It is yummy! Thx! Hello! Looks really good. What size slow cooker did you use? I used my smaller crockpot - I think it's a 4 quart? It's just big enough for a whole chicken without any room.....I could have gone even smaller if I had one. But I only have this one and the monster size which fits two whole chickens...does that help? Made this today using thighs...delicious!!! Many thanks. Made this with a couple changes: used 1 T veg oil and 1 T sesame oil(instead of 2 T veg oil) and only used 2/3c honey(instead of 1c). Also added some grated ginger and about a teaspoon of sriacha(sp?). It was AWESOME. This is definitely a once-a-week-er. Used chicken thighs and served over capanelli. Mmmmm. I made this the other night, and it was a HUGE HIT!!!!! Even my husband loved it, and he doesn't like poultry. I left out the red pepper flakes, and it was delicious. But I think I'll add the pepper next time around. Wow!!!!! I've made this over and over, my family loves it! Even my insanely picky two year old asks for "the yummy chicken" several nights a week. I substitute sesame oil for half the canola oil. Delicious! Had this last night...Amazing, so tasty! If some of us that can't use honey for the spike in blood sugars, you can use AGAVE nectur in place of it. It works really great to with this dish. This came out WAY too salty for my taste (even using low sodium soy sauce). We had to throw it out. I may try again sometime, but would reduce the soy sauce by at least half. I made it yesterday for dinner and everyone ate it (that's saying something). I used Trader Joes chicken breasts. I threw them in there still frozen solid and cooked on low for 6 hours. There were no leftovers! I didn't have enough honey so used Molasses and Low sodium soy sauce. After doubling the recipe my entire family loved it and ate every bite. It was delicious! I calculated the calories using 24 ounces of chicken and the calories without the sesame seeds were 233. The sesame seeds add about 20 calories per 8 servings. I have 9-year-old twin girls and they loved this! One of them is SOOOOO picky and she actually had 4 servings of it!!!! That has to be the most food she's ever eaten at one sitting. Thank you VERY much for this great recipce! I add a lot more (1 and 1/2 tsp hot pepper flakes) since my family all likes their food spicy, and it wasn't even too spicy for me... just great flavor! This is my 3rd time making this dish in 2 months. My family LOVES it! I double the recipe adding in some chicken thighs with the breasts, and add some sesame oil and brown sugar to the sauce. Comes out great every time! I made this last night..Yummy! Lots of sauce left over, next time i will use 6 breasts.so i have leftovers to go with the delicious sauce! you know how we all like to tweak recipes?! I added some sweet chili sauce..
Hey I am wondering if you have tried using sesame oil instead on the veg. oil? I use sesame instead and it bumps the flavor up a notch. Delish! 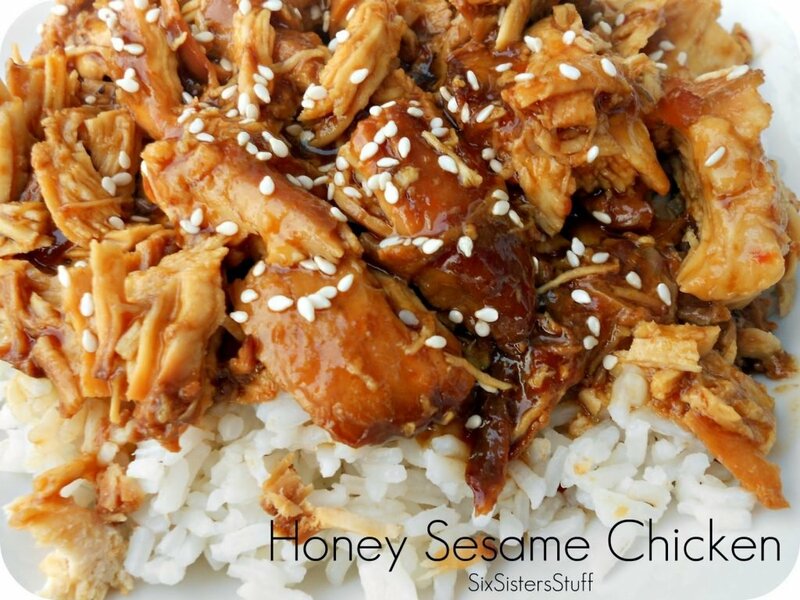 Our house LOVES honey sesame chicken and we are always looking for a "go to" recipe. I think we have found it! The crock pot makes it super easy, and clean up is a breeze! The taste is amazing! Ok I tried this recipe, but the chicken cooked way to long and it didn't turn out. I have to be gone most of the day, so this might work for a weekend. how many pounds of chicken should I use? I know it says 6 breasts but they can vary in size. We made this today, and it was delicious! 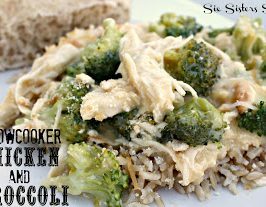 I added some broccoli and served it over rice - yum! Thanks! made this tonight and it was delicious. I decided to try the frozen boneless, skinless chicken tenders(worked beautifully), the only thing i added was green bell pepper at the end and a can of pineapple. sooo tasty. its almost like moo shu pork, gonna try next time shred the chicken and put in flour wraps. We loved this! I used coconut oil and it gave the dish a nice boost of flavor. Tasted better than dinner from a Chinese restaurant! Thank you...this is a winner! I love this recipe it is delish! We use sesame oil instead of veg or olive oil. Gives it a nice flavor. I can NOT seem to get the sauce to thicken up AT ALL. I am not sure why. Any suggestions? Bummer! I am so sorry! I don't know why it isn't thickening up! Maybe you could pour the sauce from the slow cooker into a small sauce pan and cook it over medium/high heat while stirring in the cornstarch and water . . . I wonder if that would help? Good luck! another fool proof recipe. My kids loved it! Can't wait to give this a shot. I just made this recipe last night, & it was delicious! I served it with brown rice & peas -- so yummy! I made this for dinner tonight. It came out perfect. I cubed 3lbs. of chicken before cooking and I doubled the sauce because towards the end of the cooking cycle I added some broccoli florets and there wouldn't have been enough sauce. I really like asian food and this is the first recipe I have tried that actually tastes like something I would have ordered out for! Yummy! I made this for dinner tonight for my husband and 3 sons. Everyone LOVED it. I used 4 organic chicken breasts and rubbed them with good quality olive oil and salt and pepper before putting them in the bottom of the crock pot. Otherwise I followed the recipe exactly (except I used 1 tbs olive oil in the bowl instead of 2, as I had already used some on the chicken breasts). I cooked on low for 4 hours. I needed to add a couple extra tsp of cornstarch to thicken up and it took about 20 minutes on high to thicken it. But, I found this recipe to be super easy, and super tasty! I will definitely make it again. Thank you!! I know you can replace honey with agave in baking but would it taste different in this? Hi there! Putting in agave for honey would not only give it a very different texture but the taste would be very different! My husband really likes agave but I think if you try it to use a lot less or you might have a very strong flavor of agave. Hope this helps! Hi, this going to be our dinner tonight in Pakistan,, Must say you girls are beautiful and oh so talented. Stay blessed sweets. I've made this several times now and it has turned into a favorite for both my husband and I. Thank you so much for sharing! I made this and it got the most hits ever on my little blog! I tweaked it a bit and loved it! Loved it cold, couldn't stop picking on it. Going to make this tonight with chicken meatballs. Can't wait. The kids are going to love it! do you think if i used beef instead of chicken it would still taste ok? this was soooooooo cool. i love cooking in the crockpot - it works for working moms. my 8yr old NEVER likes anything that comes out of it. THIS HE ATE!!!! 3 helpings of it!!!! THANKS and it was super easy for me!!! pop it in the crock, went to soccer game and ate when we got home! YOU have made my YEAR!!! thinking of freezing...do you think it would freeze well? uncooked! Are you putting the corn starch in the freezer bag as well? Yes, we added the corn starch in too. I LOVE sesame chicken! I'm pinning this so I can try making it myself. Thank you for sharing this! I prefer this with half the amount of honey...cuts down on the Weight Watchers points, too. I found it way too sweet with 1 whole cup! It's tasty...we're having it for dinner! This was absolutely delicious!! I actually added a few things and it really brought out a lot of flavor and turned out amazing! I added a few dashes of hot sauce, some cayenne pepper, a little bit of chili powder and ground cloves. I also added fresh broccoli and mushrooms! Thanks for the recipe! I can't wait to make it again! This looks wonderful. Does anyone have an idea of the calorie count? I just made this tonight. Loved it! Definitely deserves and entry into my recipe book. Made this a few weeks ago and it was a hit! I used 1/2 tsp of cayenne instead of crushed red pepper flakes, used 2 HUGE frozen chicken breasts (it's just me and my hubby and there were plenty of leftovers), cooked low for about 5 hours, cut up and simmered in the sauce for another hour. I didn't thicken the sauce because the last time I tried a recipe like this in the crock, it ended up being a big pile of goo. The sauce was divine over rice just the way it was! I'm very glad I didn't thicken it! I'm making it again tonight with Thai sticky rice, yum! Thanks for the awesome recipe! Made this tonight and it was SO delicious! My 3 little kids all loved it. I made it with pea pods and brown rice. Also cut the honey in half and added a little bit of agave nectar. Thanks for the awesome recipe! I just made this, it's sitting warm in the crockpot while the jasmine rice is cooking in the rice cooker. It tastes absolutely amazing. I put maybe just 1/2-3/4 cup honey because I have natural honey with the honeycomb and everything that I got from a local bee keeper, so it's pretty strong. And it tastes great! I added just a few drops of pure sesame oil at the end instead of the seeds, it's awesome! Love it, thanks for this. this is the second recipe of yours that I have made and I loved every bite!!! I shared it with the world so they can come and enjoy your tasty treats!! This is fantastic!!! I have a very picky 16 year old and even he loves this dish. 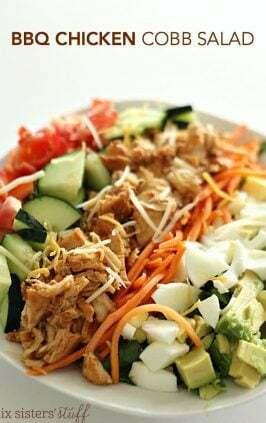 I shared it on my blog so more people can enjoy your fabulous recipe! This was great! Will definitely be making it again in the near future. Thank you! I just made this for my sweetie tonight! He loved it! I added a bit more honey and red pepper flakes and it was killer! The sauce thickened up perfectly when I took out the chicken and added the corn starch. Next time I think I will add some carrots (sliced) and water chestnuts and make a lettuce wrap! Thank you for the recipe and tips!! I made this recipe tonight for tea and its lovely! I reduced the amount of honey and soy sauce as I thought the amounts given would be too much for the amount of chicken I had and it worked perfectly. 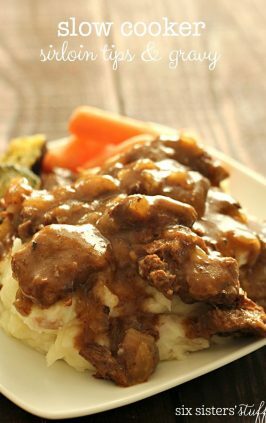 I'm on,y just getting into using a slow cooker so it's good to find recipes like this that work. Love your site. Thanks for sharing! I LOVE this recipe so much I had to share it with my family on my blog. This is my oldest son's favorite recipe that I make, and that doesn't happen very often, so that's awesome! I made this tonight and it turned out great! I accidentally bought green onions instead of white, so I used those and just added a whole chopped bunch at end after I'd added back the cut up chicken. Nice and colorful. I also only cooked mine on low for 3.5 hours and did the last 30-60 min. On the "keep warm" setting. I hate dried out chicken. I would not recommend leaving it all day while you work. I would think the sugars in the honey would start to burn. I made this tonight with chicken breasts. At the end, when I loaded my rice up with the sauce, I thought it tasted too salty and then after my husband ate it he said it was too sweet. :) Different taste buds! My sauce didn't thicken up even after 20min in the crockpot, any ideas on making it get thicker? You could add a little cornstarch to thicken it up and see if that helps. I made this tonight and it was very good! I had some trouble with the sauce thickening up, but it was still super delicious. I served it with green onions and fresh jalapeños over rice, yum! This was even more delicious than I expected! Perfect addition to my recipes. I WILL be making this a staple in my home. Thanks for sharing!!! Had this for dinner. The sauce never really thickened up, but it was really good. Will make again! I have been making this and loving it! Have been adding a spoonful or two of peanut butter to the sauce at the end! Helps thicken it and adds great flavor!! (and the kids LOVE it!!) It is a weekly request in our house!! I just found this recipe and would LOVE to get it going for today but do not have sesame seeds on hand. I do, however, have sesame oil. For flavor could anyone suggest if this is an option in place of the vegetable oil? Sesame oil is a lot stronger and will alter the taste. I would stick with vegetable oil or canola oil. Amy-- I have added a little bit of sesame oil for flavor (as sometimes I don't have sesame seeds either!) --just a teaspoon is all. I still use the vegetable oil but not as much then. We love sesame oil at our house and use it frequently. I did a combo of 1 Tbsp canola oil and 2 tsp Trader Joe's dark sesame oil. I also added 1 tsp of minced ginger. This is my first attempt so I'm crossing my fingers that its good! The reviews make it look promising. I hope my family will love it. They LOVE my Crockpot Sticky Sesame Oil & Teriyaki Chicken Drumsticks! Found you on G+...trying this one tonight! Planning on trying this tomorrow night and picking up the supplies tonight. Is there any decent alternative to the cornstarch to thicken the sauce? Another thickener is a flour and water paste. You could try that. We have only made it as the recipe directs. I wish I would have seen people's comments about reducing the honey. This was waaaay too sweet! I will make it again with 1/2 cup of honey. Could you use garlic powder instead of actual garlic if you don't have any? Sure, we do that alot! I have recently discovered your blog and purchased one of your cookbooks. I love them both but this same question frequently comes up with me, I am a numbers girl sorry! When a recipe calls for 4 chicken breasts etc, are you referring to a 4 oz chicken breast totaling a pound in weight, or a full chicken breast totaling closer to 2 pounds in weight. Thanks so much for your help! Keep the delicious recipes coming! My absolute favorite so far is the Butterfinger blondies! Hi Serenity! Thanks so much for visiting our blog. Chicken breasts are so tricky because they vary in size. We usually by a 4 pound bag of frozen chicken breasts which have about 7 to 8 breasts in the bag. Every chicken breast in the bag varies in size. So with all the many sizes, the average chicken breast is about 1 cup of cooked chicken. Each chicken breast is about 8 ounces. How do you get your sauce so light colored? Mine turned out a dark brown rather than the color I see in the pictures. I count my calories could u give the nutrition info for the honey sesame chicken ? Hi Mary, just click on the MAGIC button under the picture and then click on NUTRITION. It will give you all of the nutritional info on this recipe. If you get more servings out of the recipe than listed, the calories will be less. I'm trying this tonight but I'm confused - the video says 5-6 hours on low, the blog says 3-4. Which is it? 3 to 4 hours on low. Some crockpots cook hotter even on low, so experimenting with frozen chicken breasts. Removed the sauce at the end, used some of the sauce to barely cook orange pepper, roma seeded tomato and canned chunk pineapple. Pepper in first, pineapple next, tomato last to keep its firmness. Placed the cooked cubed chicken and veggies over cooked brown and black rice, cornstarch thickened sauce over all. Lots of sesame seeds purchased at an Asian market in lg container. Also a side salad of mixed baby greens (what I had on hand, recipe calls for just arugula ), diced date per plate, slivered almonds, blood oranges ( in season) cut in rings then sectioned. One orange or less, per serving, depending on size of serving. Dressing is juice from a squeezed mandarin orange (in season) with olive oil whisked into the juice, and poured over each salad plate. Feeding a hubby who starts work at 2PM and does not eat breakfast, so pack him full of tasty nutrition. Next I make his lunch after done cooking his dinner. This recipe would heat up well for lunch, minus the veggies, add those in a separate container to keep them firm. The orange salad also packs well for lunch add dressing at meal time. Just found this recipe - thanks to getting your email blog letter. Following the recipe exactly, I mixed the sauce ingredients, placed the sauce and chicken breasts into a gallon ziplock bag, put it into the refrigerator, and left my husband a note to put the contents of the bag into the crock pot at 3 pm on high (he gets home earlier than I). ...... don't you LOVE when food just cooks away without needing your attention???? ..... At 5 when I got home, changed out of my work clothes and finished up the recipe instructions. This was truly delicious and so darn easy. We both agreed this will be in the slow cooker rotation dinner menu! Thank you for posting this! And thank you for the emails! ..... and.... : ) I suggest using low sodium soy sauce and don't add salt seasoning to the chicken. You can salt to taste when you have your own serving if you prefer more salt flavor. ....just an FYI. Made this tonight for dinner and 3 out of 4 of us loved it. The one that didn't like it is an EXTREMELY picky eater. I followed the recipe exactly, but I couldn't get the sauce to thicken. I left it in the Crock Pot for 25 minutes at high. Not sure what I did wrong. Thanks for the recipe.